Britain and Ireland are known for their breathtaking scenery, and this tour will not disappoint. You’ll see the 100-mile Ring of Kerry, with its rugged and magnificent landscapes; stunning scenery on Ireland’s Dingle Peninsula; the spectacular 668-foot Cliffs of Moher; Northern Ireland’s awe-inspiring Giant’s Causeway, formed millions of years ago; Llanberis Pass-with its rugged natural beauty-in Wales’ Snowdonia National Park; Brecon Beacons National Park, with its dramatic landscapes; and the Isle of Skye, with some of Scotland’s most spectacular scenery. Enjoy time in the Scottish Highlands, filled with dramatic landscapes, rolling farmland, picturesque seaside towns, and beautiful lochs (lakes). 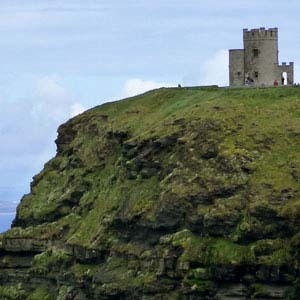 Britain and Ireland are also known for their picturesque and historic towns. On this affordable Britain and Ireland tour, you’ll visit many of these towns, including Oxford, home to some of England’s most famous colleges; Stratford-upon-Avon, where you’ll get a glimpse into life in 16th-century England in Shakespeare’s hometown; York, England’s most complete medieval city with its cobbled streets and the magnificent York Minster, England’s largest gothic cathedral; Berwick-upon-Tweed, a peaceful coastal town with a turbulent past; Strathpeffer, known in its heyday as an European health resort; Looe, a pretty fishing village; the seaside town of Tramore; Bath, known for the excavations of Roman baths used for bathing and socializing 2,000 years ago; and many more. You’ll also visit the capitals-London, Edinburgh, Cardiff, Dublin, and Belfast.